We're so thrilled to share the images from Lisa + Matt's September wedding at The Carolina Inn! Lisa commissioned Simply Elegant to construct and design her chuppah and it turned out better than we had hoped! Her blooms were watercolor inspired and came together beautifully. 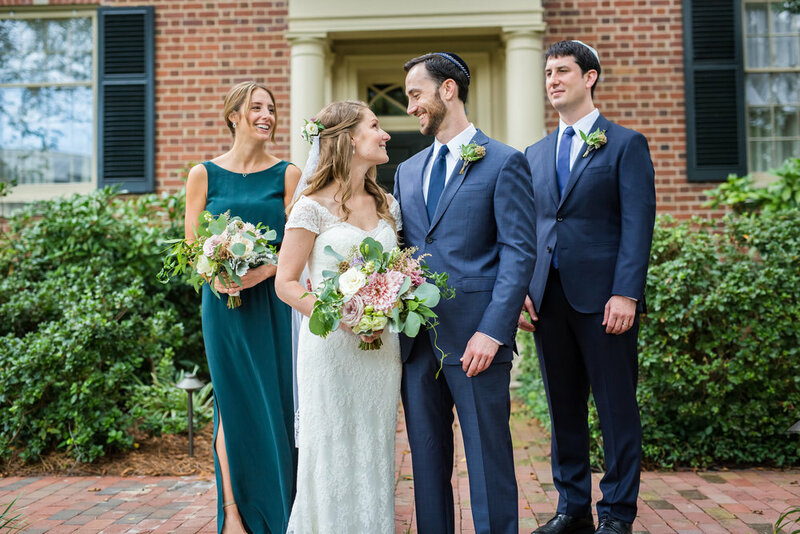 Our favorite images are below from Richard Barlow Photography, as well as an amazing video from Almond Leaf Studios (grab your tissues!) -- you may even see Anna make an appearance at the 1:43 mark. Lisa & Matthew // Carolina Inn // Wedding from Almond Leaf Studios on Vimeo.